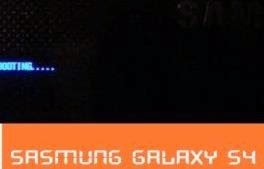 This is the continuation of our previous troubleshooting guide on Samsung Galaxy S4 hardware/device issues. The main issue that is being tackled in this content is about a Galaxy S4 device that often reboots by itself, or intermittently power cycles. Again, the solutions we offered through this page comprised of manufacturer-recommended workarounds or resolution procedures, as well as user-defined fixes that are proven working by those who have encountered the same device problem. To our readers who have reached our inbox, asking for solutions/recommendations for this same problem on their device may also refer to our given suggestions below. What could have possibly caused a device to reboot by itself? Aside from the possibility of it as a temporary device issue, random reboots could be due to a problem on the memory or when the phone has no memory or insufficient memory storage available. Another symptoms that would indicate full or insufficient memory space would include crashing, freezing and intermittent reboots on the device. In some cases, a use of non-Samsung OEM accessories like battery or charger could also trigger the same problem to occur. Among other possible causes that you need to consider before you start finding the fix include an outdated firmware on your device, third-party app is causing an issue, physical or liquid damage, as well as when the device has been rooted and a custom version of Android OS has been installed. Manufacturer-recommended workarounds or solutions to deal with this problem on your S4 device are initially based on the possible causes. That's why determining the possible causes is deemed a good start. First recommendation would be a soft reset. It's done by removing the battery with the device still on, wait for 30 seconds and then re-insert the battery, and then finally power on the device. If this won't do any good, then try to check your device software for any available updates. Software updates are typically rolled out to fix any existing issue on the device, so you might as well, have to give it a try this time. If the problem occurs while using or connected to a non-Samsung accessory with your device, then try to remove or disconnect these accessories from your phone, to isolate the problem. Non-Samsung accessories often cause unwanted behavior on the device. Press and hold the Home key for about 2 seconds until the Recent Apps screen appears. Close any open applications by swiping the app thumbnail to the left or right. Doing so will dismiss the app. Tap to open Task Manager. Tap the RAM tab to show RAM information. Review the current RAM usage for your GS4. If you see the used/total numbers are close to each other, touch Clear Memory to free up some memory space. It will also let your device empty its RAM of any unused data. If the USED number does not reduce after you clear the memory, then try to make some adjustments to your phone's configuration to free up RAM. Try to remove/close unnecessary widgets, change live wallpapers to normal wallpaper, and delete unused Home screens as these all utilize RAM. Physical or liquid damage may likely be present if you accidentally dropped your device or when it was exposed to liquid or moist. Check the device's LDI or Liquid Damage Indicator located inside the battery well and on the battery itself. LDI indicators should be solid white or white with visible pink/purple Xs. An indication if the device has been exposed to moisture if the LDI shows solid pink/purple/red colors. Also make sure the connectors are not pushed in, bent, broken or corroded. Physical and Liquid damages are not covered under the Samsung Limited Warranty. If this is the case, then please contact Samsung support or your phone carrier to escalate your concern and for further assistance and recommendations. Performing a master reset or hard reset will reset your device to factory default. While this process has been known to resolve several device issues, thie process will also delete or erase all your personal information after the process. That being said, a factory data reset should be the last resort you can try on. But be sure to back up all your personal files before you initiate a hard reset. For those who are having the same problem with a rooted GS 4 handset and that the problem occurs after installing a custom version of Android OS, then you may consider re-installing the previous Android OS version for your phone using Samsung Kies. Problems that occur after rooting are already beyond the manufacturer's scope of support. a. Check the battery and ensure it's not swollen. You will know if the battery swollen if it spins when you place it on an even surface. Your options if this is the case would be contacting Samsung Support or get to your nearest Samsung service center, explain the problem and/or ask for battery replacement. Too high CPU Frequency may also cause the phone to randomly reboot by itself. Normally, the Galaxy S4 has -1.6GHz. To lower the CPU frequency on your device, you're gonna need to download CPU tuner app from Google Play first. You will use this app to configure the Min and Max CPU frequency values. Set the Min to 350MGHZ and the Max to 600 Mhz. Please note that by reducing this frequency values, your device System Performance will also lower. But the good thing is that it will help improve battery life and fix an issue on battery drainage. Alternately, you can download and install CPU adjuster from the Google Play to adjust the CPU Min and Max Frequency to the lowest possible MHz. You may opt to try this method, otherwise, skip to the next available workarounds. Open Application Manager or go to Apps. Tap on Google Play Store. Do the same thing on Samsung Push Services. Another thing you can try is to simply remove the Calendar icon from the Home screen. Please keep posted for more contents of this site in the following days. Again, publication of our troubleshooting guide for specific device issues is scheduled three times a week. Same thing with our tutorials and how-to guides.